Another Good Day for HEM at NPE2015! 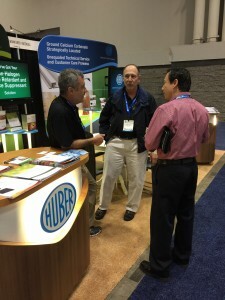 The Huber booth was again bustling at NPE2015 Wednesday. 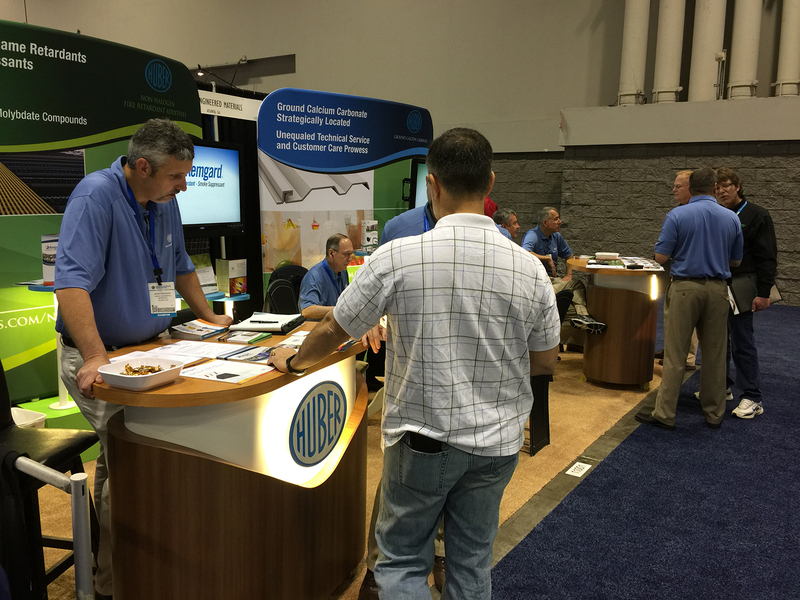 Wednesday proved to be another excellent day of exhibiting for Huber Engineered Materials (HEM) at NPE2015 currently ongoing at the Orlando Convention Center. We continue to see quite a number of attendees at the event who are interested in our high-performing Ground Calcium Carbonate Extenders and Halogen-Free Fire Retardant Additives. Our booth location at NPE is in the South Hall, #11001. If you haven’t already, please stop by our location as we will be open to greet visitors both tomorrow and Friday of this week. First Two Days of NPE2015 Going Great in Orlando! Great news to report from the Orlando (Florida) Convention Center and NPE2015: The International Plastics Showcase! The Huber Engineered Materials’ booth has been extremely busy over the first two days of this key trade show event! We’ve enjoyed meeting and seeing many current and prospective customers, as the Huber booth in the South Hall (#S11001) has been bustling with activity. There’s a lot of interest in both our Ground Calcium Carbonate Extenders and Non-Halogen Fire Retardant Additives for an array of plastics and plastics-related applications! If you are attending the event this week, we’ll be in our booth through Friday, so please stop by and meet us live!